The term paralysis is expressed by a number of pathological conditions, which differ in degree or severity of damage to human causes damage, disease course, and also the quality of life, that person after illness remains. a) Paresis: term describes paresis paresis, e.g. patient may affected limb at least in a limited range. b) plegia: the complete loss of momentum, a patient afflicted body part he can not even move. Another definition tells us that paresis means a reduction in muscle strength, while plegia complete loss of muscle strength. As monoparézu or monoplegia understood as paralysis of one limb (partial or complete paralysis). Diparesis or diplegia is a paralysis of both legs. Triparéza or triplegie is paralysis of three legs, and finally quadruparesa which affected all four limbs. Other terms are hemiparesis or hemiplegia – it affects one side of the body and paraparesis the involvement of both legs. All of the above terms relating to the general neurological terminology, it is also necessary to describe two conditions are closely connected with the palsy: Cerebral palsy (brain damage) andpolio, an infectious disease of viral origin, which begin to describe. 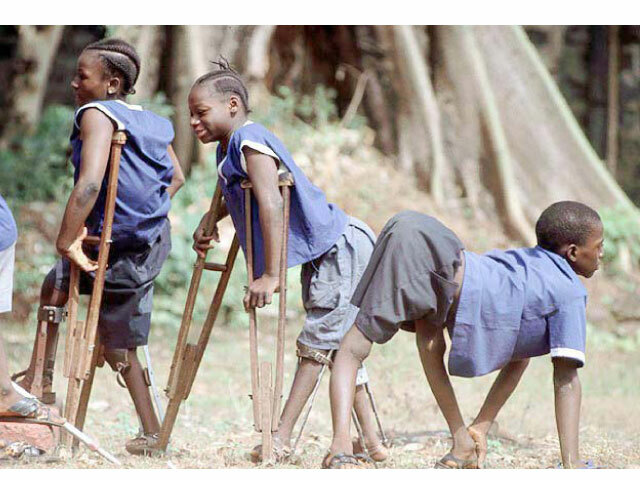 Polio is a disease of viral origin, which causes the virus from poliovirus (polio viruses are RNA viruses have in their capsid ribonucleic acid and belongs to the genus Enterovirus). 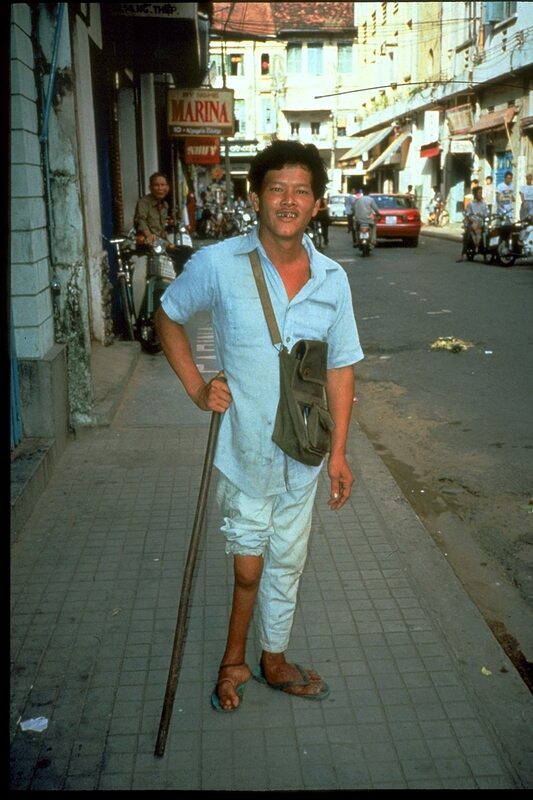 Polio is professionally known as poliomyelitis anterior acuta. It is a serious illness that results in damage to motor neurons (neurons that control muscle), and consequently to produce paralysis.Polio virus is exclusively neurotropic, meaning that only attacks the nerve cells, and it is this feature makes it the most dangerous virus of the genus Enterovirus. In areas of the globe where there are worse sanitary conditions, the virus is endemic (typical for the area). This in practice means that roughly 90% of all children in these areas are infected with up to 5 years of his life, most already in infancy. Infants, however, are protected by passive transfer of antibodies in breast milk that protects against polio. In these areas, most cases of the disease after the 15 th year of age. In the Czech Republic, but also in other areas, say, socially and economically developed countries of the temperate zone, in the last century occurred disease rather in the form of small epidemics.The situation changed radically after he was introduced vaccination against poliomyelitis. Vaccination reduced the incidence of disease by 99%. It is interesting that our country has ever belonged to the first countries where vaccination is introduced. Since 1958 he began applying the Salk inactivated vaccine. Salk vaccine was replaced by a live attenuated, ie. An attenuated vaccine. Vaccinations protect vaccinated children, and so gradually removed from the population of virulent strains, and the incidence of the disease in our country virtually destroyed. Vaccination will be discussed in more detail below in connection with therapy. Risk lies primarily in traveling to endemic areas where the virus circulates in the population.Contributes to the spread of low economic, social and hygienic standards of the state. In our areas, as noted above, infection due to vaccination was discarded. Infection of humans occurs long time, hidden in a certain period of infection with the virus temporarily excreted in faeces and secretions from the nose. After that we can detect the characteristic antibodies against the virus. Put simply, the virus enters the nasopharynx, where it continues through the larynx and into the intestinal mucosa. Therefore interferes with two systems: respiratory and digestive. If an infection occur (rarely happens), it may experience leakage nasopharyngeal mucosa, runny nose andfever (patient very difficult to distinguish from common colds). After these symptoms of the disease can completely disappear – then we talk about abortion aspoliomyelitis. For part of the population, however, the infection spreads. Replication of the virus is a process of RNA synthesis in the affected cells acids virus used without its own apparatus. Thus, through the cellular mechanism virus replicates its information to other new cells. Progress in lymph nodes – in the cervical and mesenteric lymph nodes (nodes mesenterium, structure, on which is hinged the small intestine). From the lymph nodes, the virus enters the blood, where it spreads into the central nervous system or into regional nerve ganglia, from where it passes into the central nervous system. When the virus washes massively into the blood of the patient taken hold of fever (usually 12 to 17 days after infection). Blood gets into the structure, which brings the cerebrospinal fluid – the choroid plexus. Moke gets to the brain packaging, which causes aseptic meningitis (a collection of symptoms was then abbreviated SAM – The syndrome of aseptic meningitis, SAM is not caused by a wide range of phenomena, not only by the virus). Aseptic meningitis is basically inflammation of the meninges, which is manifested signs of meningeal irritation (neck stiffness of muscles, inability to bend his head so that his chin touched the chest, etc.). Aseptic meningitis patient takes 2-5 days and usually ends complete recovery. At one percent of infected individuals, however, the disease persists after that period, but rather the formation of the paralytic poliomyelitis, which is reflected paralysis of muscles of the limbs and trunk. In rare cases may be affected muscles, which are innervated by cranial nerve, then the disease is referred to as the bulbar form of poliomyelitis. The presence of muscle paralysis strongly suggests to attack the central nervous system. As already mentioned, the virus gets blood in the choroid plexus, and thence to the spinal cord and brain. The presence of virus in the blood known as viremia. Besides this classical virus spread to the brain and spinal cord were observed when the virus Cirilo along the nerve fibers within the spinal cord. The virus mainly destroys motor neurons, which are stored in the front corners of the spinal cord, but also destroys centers in the medulla oblongata, brainstem as a whole and also attacks the motor cortex of the brain (praecentralis gyrus). The virus enters the motoneuron propagated in it, and irreversibly damage it – the damaged cells are phagocytosed (basically eaten) by specialized cells called microglia, further develops inflammation – edema and infiltration of white blood cells.Inflammation then breaking down larger areas of the brain or spinal cord than the virus itself, so finding paralysis larger than would correspond to localize virus. At this stage of the disease they are already developed specific antibodies developed a specific immune response. The virus is gradually destroyed, edema subsides, and the extent of paralysis gradually decreases. The problem is that already damaged neurons are not able to recover, and therefore after an illness left with permanent paralysis of muscles. As has been written, the disease occurs in every person differently seriously (by the resilience of individuals, genetic predisposition etc.). Very important is the virulence of the strain of virus that has infected humans. It was further found that the disease occurs more aggressive in people who are in the incubation period much physically overwhelming. Bulbar form of poliomyelitis (affecting the muscles of the head and neck, which are innervated by cranial nerve) sometimes occurs after removal of the tonsils. Furthermore bulbar form is formed as the final stage Landry’s ascending poliomyelitis which occur polio leg and continue up to paralysis of the respiratory muscles, causing the patient’s death. At the outset it must be said that no specific treatment exists. In the aftermath of the disease is important in rehabilitation with which to begin as soon as possible. The purpose of rehabilitation is primarily the growth of muscle mass, which is then able to replace (partially) polio affected muscles so that one may as soon and as fully as possible incorporate into everyday life. The most important treatment strategy for polio vaccination. The first vaccine, as already mentioned, prepared by Mr. Salk in 1955. He prepared a virus that inactivate. Virus propagated in culture kidney cells of monkeys. Afterwards, however, it found that the vaccine is also active simian polyomavirus SV40, which fortunately did not cause anything, but still left from this vaccine. Today vaccines are prepared on the cultures of embryonic human cells. The vaccine, which contains dead viruses, antigenic has a relatively small effect (to the body learned to defend in contact with the live virus), so the brushes under the skin in four doses, moreover, must be revaccinated every third year. 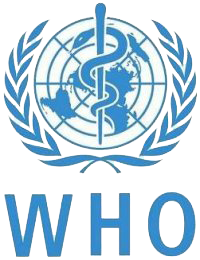 The problem of this vaccine also lies in that it prevents a person before the occurrence of paralytic polio mold, which is beneficial but does not prevent the virus to pomnožoval in the digestive tract and got into the external environment in the faeces, and thus can infect other people. In 1959, Mr. Sabin suggested a live but attenuated vaccine. The virus gets into the digestive tract where they multiply, but also enables all components of immunity, and the person is then completely protected. The advantage is also the fact that the product is swallowed by mouth.Children are vaccinated in April and May, viruses are excreted in faeces into the environment, and reminds herself on the immune system of people around the child. Other names too cerebral palsy, Little’s disease, morbus Little and CP cerebral palsy. Cerebral palsy (CP) is a disease of non-infectious origin, which is characterized by damage to the brain. This disease actually represents a range of causes, because the brain can be damaged by a variety of events. From polio, as described above, differs mainly in that it is not caused by a virus and is therefore non-contagious. Brain damage was apparent movement disorders, symptoms of the disease are evident in the early years of a child’s life (often after half a year of life). Course of disease is chronic, in principle, lifelong. The extent of damage will not deteriorate over time. As I will explain later, in addition to movement disorders, they are also affected parts of the brain that are responsible for functions other than motor control. These children may suffer epileptic seizures. They have a low intellect ranging from minimal brain dysfunction through moderate to severe mental retardation. Other symptoms are described with clinical manifestations of the disease. Causes brain damage are many. They are divided into prenatal (damage to the fetus during pregnancy – can it be an infection, drugs, dangerous drugs etc. 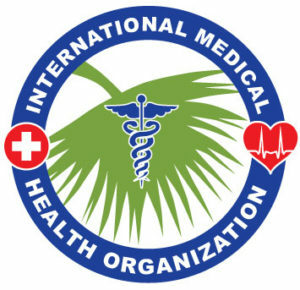 ), perinatal (during birth – especially stretched birth, when the baby suffered from lack of oxygen – hypoxia, which causes brain damage.) A further brain damage can occur in the early years of a child’s life. This form is the most common type confidently disease, according to the literature this form is present in about 80% of the total patients. These people have muscles very stiff and immobile – we are talking about spastic paralysis. Affected they can be affected by both lower limbs -spastická paraparesis or paraplegia, three legs – spastic triparéza or triplegie. Spastic quadriplegic or paresis is a term for disability in all four limbs. The child who is affected spastic paraparesis, if at all walks, has a characteristic gait. Polio mainly affects the adductors of the thighs, the child attracts the lower limb inwards over itself, with knees at each step of rubbing on each other – it looks like cutting with scissors – because this type of gait called a scissor-walk – in Anglo-Saxon literature refers to this type of walk like scissors gait. The child has a leg spasm, which is reflected by the fact that his feet very noticeably stiff, does not bend at the joints. Overall gait looks very awkward. These children may inadvertently move while shaking limbs of one side of the body, which is referred to as hemiparetický tremor. This may allow an already challenging movement even more difficult. Athetosis type dyskinesia, why is this form nazývába as dyskinetic. It is characterized byinvoluntary (it will not be checked) movement, which at first sight abnormal. This type of motion is known as athetosis – are the slow writhing movements of the fingers (similar to the twisting of worms), limb or body part. Compared spastic form is less common, affecting about 10% of patients. Abnormal movements may hamper a child speaking to poorly articulated. This symptom is called dysarthria. Ataxia means damage to the balance due to errors in the perception of deep skin Citibank proprioception). This form is rare, as already mentioned, mainly affects balance. The patient hasproblems with balance, swaying to a walking distance of two feet wide – broad base walk. Their gait resembles a drunken man walking. Ataxic patient does not allow for any fine motor activity – turn the knob to write like. In these patients, the intention tremor – tremor that occurs when the directed movement. The patient has no hand tremor, though it has a relaxed position and nothing it does not. If, however, will want to grab an object, the hand begins to tremble and the more so the more a given subject will blížit- tremor amplitude increases with decreasing distance. The above forms can be combined, thus producing mixed clinical pictures. As already mentioned, the DMO is reflected a number of other symptoms outside impaired mobility.The child may have a low intellect, the brain dysfunction, where the child may seem difficult to master, to give the impression of misbehavior, also has problems with reading, writing and the like. The child, however, is more limited vzdělatelné and train. For medium and especially in severe mental retardation education and, in certain cases, any education basically impossible. Here it should be noted that the DMO may even people with average or above-average intellect and quite a lot of them. Another problem is epilepsy. Epilepsy occurs pathological excitation of neurons that are damaged and emit pathological discharge, which can only promote the area as well deposit or discharge can go through the whole brain – generalized form of epilepsy. Group damaged neurons becomes epileptic bearing. The worst case is when there is generalized seizure – grand mal seizure. He usually starts the child cry, then fall into a coma and seizures followed by tonic-myoklonicých muscle spasms. During the bout baby saliva, helping to bite your tongue or the inside of the cheek. A considerable portion of children with cerebral palsy has damaged eyesight or hearing. The first symptom is a squinting child. Squint is technically known as strabismus. Each eye is moving differently, the longitudinal axis of the eye is not parallel to the axis of the other eye. The reason is damage to the ocular muscles that do not work symmetrically. Adult man in strabismus has diplopia, which is referred to as diplopia. A child who has a young and largely plastic brain is adapted by beginning to ignore light perception in one eye, which becomes Amblyopic. State should be treated surgically, because the danger of severe eye injury. The child can then be difficult to navigate in space and does not estimate distances. Another visual impairment is hemianopia, which is defined as the loss of half field of vision of the eye. Damage may also be hearing a different extent. DMO is still an incurable disease, but certain treatments he still exists. 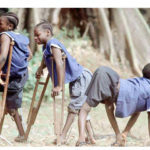 Its goal is to maximize the improvement of the quality of life of a disabled child. Besides doctors is important to help families, therapists and teachers, and of course peers. On the treatment involved a wide therapeutic team, which consists of a wide range of medical specialties. The team is led by a child neurologist who manages any treatment. Important is thephysiotherapist, who manages the rehabilitation of the patient – the development of muscle groups, improve movement, etc. Orthopaedic surgeons solves problems with clubs bones.Neurosurgeons remove cysts, causes obstruction of the cerebral ventricles etc. Finally, it should be said that the child suffers mainly from social isolation. His inclusion in the appropriate group of peers is very important to the overall treatment outcome. ALS is a neurodegenerative disease in which there is damage to the upper motor neurone(motoneurons in the motor cortex of the brain) and peripheral motoneuron damage (anterior horns of the spinal cord). This leads to extensive paralysis, but also other signs of damage to motor neurons. The disease is not very common, affects about 17 people per 100,000 people per year, males are affected about twice as often as women. Cause of the disease is still unknown, is considered bygenetic factors, autoimmune reactions against neurons to glutamate and free radicals. The disease is desperate prognosis, most patients die within 5 years after diagnosis of the disease. Finally, it should be noted and emphasized that the paralysis that affects humans, has many causes.A large group of paralysis can arise from a spinal cord injury and brain. Spinal cord injuries are typical especially in younger people where there is a spinal injury in crashes, jumps into the water fall from a horse like. The brain can be affected parts of the motor cortex on the basis of a number of diseases. Elderly people are especially cerebrovascular accident (CVA), which affects mostly older people, people with hypertension and atherosclerosis. High-risk factors for stroke are smoking, so in women who use hormonal contraceptives In addition, the risk is higher. In this text, I focused on polio occurring as a result of a special disease, but also those we can find an array. 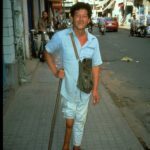 Polio as movement disorder belongs to a large group of these disorders, where the altered muscle tone in the sense of reduction: hypotonia (hypotonic muscles found e.g. Down’s disease, as well as Parkinson’s disease and secondary called. Parkinsonian syndromes. The opposite problem ishypertension – increased muscle tone with other pathologies.